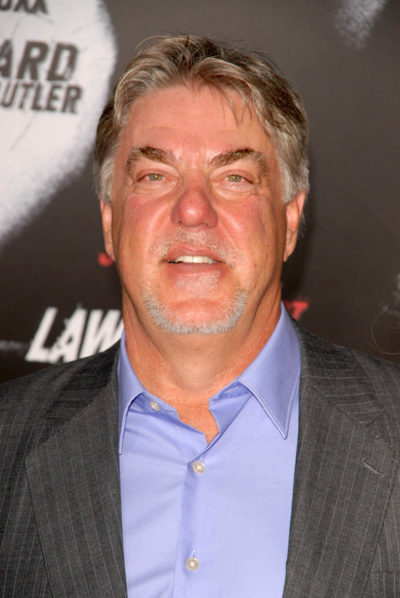 Bruce McGill is an American actor. Bruce is the son of Adriel Rose (Jacobs), an artist, and Woodrow Wilson McGill, a real estate and insurance agent. His father has Irish, English, and French ancestry. His mother is Ashkenazi Jewish. He is married to Gloria Lee. He is said to be related to Texas State Senator A. R. Schwartz. Bruce’s paternal grandfather was Tuble Stephens McGill (the son of Andrew Franklin McGill and Nancy Elizabeth Priscilla Stephens). Tuble was born in Alabama. Andrew was of Irish descent, the son of William McGill and Martha Seymour. Nancy was the daughter of Alsey Stephens and Priscilla Ozier. Bruce’s paternal grandmother was Clara Belle Travis (the daughter of Stoddard Carleton Travis and Martha Ada Edwards). Clara was born in Georgia. Stoddard was the son of Howard Carleton Travis and Mary Louise Moore. Martha was the daughter of William Berry Edwards and Sarah Jane Couch. Bruce’s maternal grandfather was Leon Jacobs (the son of Reuben Jacobs and Sarah Edloff). Leon was born in Texas. Reuben was Jewish, and was born in Vishtinetz, Lithuania, the son of Nathan Lichtenstein. Sarah was born in New York, the daughter of Moses Edloff, who was a Polish Jew, and of Rosa “Rosalie” Wahl, a German Jew. Bruce’s maternal grandmother was Bella Mazur (the daughter of Abraham/Abram Mazur and Caroline Meyer). Bella was born in Texas. Abraham was a Polish Jew, and was the son of W. M. Mazur and Reva. Caroline was a German Jew. Madman, what makes you think anyone on McGill’s mother’s side wasn’t Jewish? That’s pretty common, and it doesn’t indicate much. Most German Jews weren’t listed as speaking Yiddish, anyway (not that Eastern European Jews always were).